The man in the 2nd panel has doctors furious! Find out this local man has found a new way to keep the doctors away! I don't get it, isn't that how stimpaks work? With super stimpacks wrapping around your head and injecting directly into your brain? @fettman1138, pretty sure you slap it into your chest somewhere. 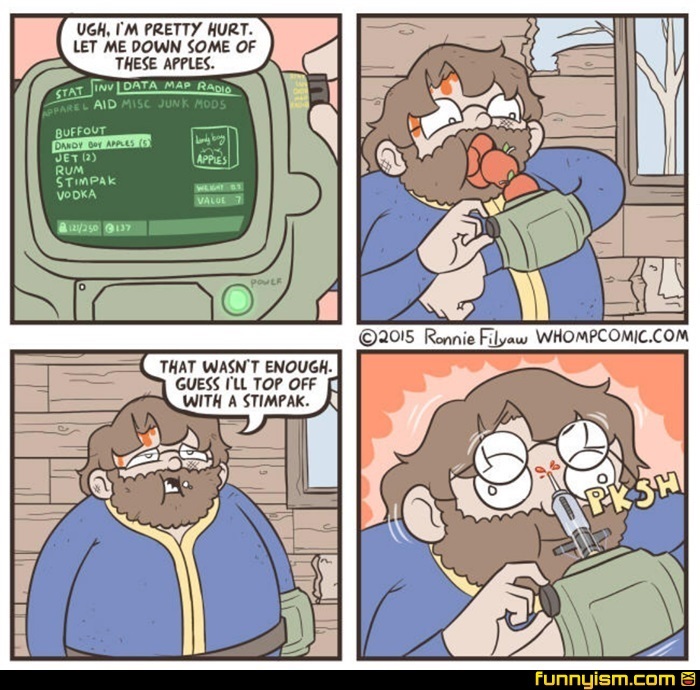 Based on fallout 4. though I suppose if you're treating something directly for crippling it would work like that.